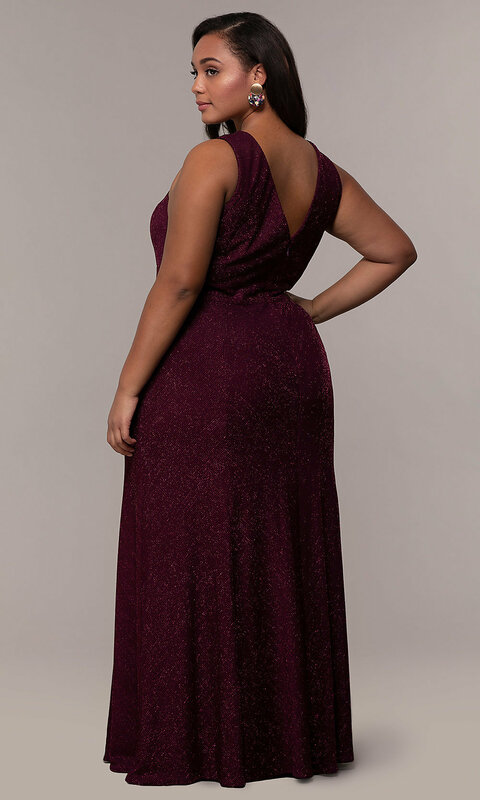 Shimmer and shine in this glamorous plus-size long formal dress crafted in a glitter-knit fabric and soft jersey lining. A deep v-neckline shows beneath the sheer inset of this lovely evening dress, while supportive shoulder straps attach at the sultry v-back. A banded waist tops the curve-hugging long skirt to finish the look of the affordable plus-sized long dress. 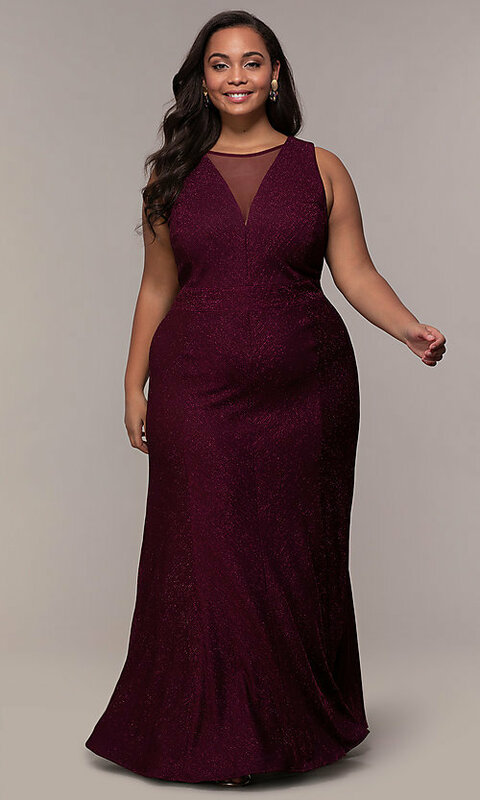 Under $150, this glitter-knit formal dress in plus sizes will sparkle with every move you make for prom 2019, black-tie weddings, and more.